Watching someone you love grieve is heartbreaking in its own unique way. Many people experience this when one of their aging parents dies and leaves the other widowed. They find that the sadness they feel over losing their parent takes a backseat to the empathy they feel for their surviving parent, who they know is grieving more deeply and intimately than anyone else. When this happens, many people find solace in helping their surviving parent work through the after-death preparation and grieving process. Here are four ways you can help your parent (or any senior) after the death of his or her spouse. Nobody wants to think about a budget or paperwork when they are grieving, but financial limitations and bureaucracy are a reality in this day and age. A grieving spouse is often not the best person to make rational, wallet-based decisions, so offer your help in handling arrangements related to disposition of the body, burial site, and funeral or memorial services. If you need to cut costs, you can be the one to run numbers and find creative but respectful solutions, such as hosting an “open house” instead of a full funeral procession. Don’t let unscrupulous people upsell or take financial advantage of your loved one’s grief. Be their rational eyes and ears. That said, some grieving spouses prefer to take on a more active role in funeral planning than others, so don’t take on more responsibilities or tasks than your loved one is comfortable with. In the days, weeks, and months following a death, there is no shortage of people who need to be contacted. One way you can help a new widow is to handle the notification of death for them. Offer to be the person who calls close friends and family to tell them about funeral arrangements. Inform organizations like churches or social groups that the deceased was a part of. Likewise, the Social Security Administration and life insurance providers need to be notified so that the spouse can begin receiving the financial assistance he or she is entitled to. Open bank or credit accounts should be closed and all debt collectors informed. However, you’ll need the official death certificate before some of these notifications can be made. Remember that there is no definitive formula or timeframe for moving on after the death of your spouse. People grieve in their own ways, and it’s your job to respect that. Funeralwise suggests being available, being patient, referring to the deceased by their name, and avoiding unhelpful statements like “you have to be strong now” or “God won’t give you more than you can handle.” Listen more than you speak. This is their pain to share, not yours to fix. For some, grief will come on strong and dissipate over time. For others, grief will be delayed. It’s important you recognize the signs of grief so you can address them when they do manifest. Signs of grief can include forgetfulness, disorganization, an inability to concentrate, and a lack of interest or motivation. For many people, the loss of a spouse necessitates many long-term legal, lifestyle and financial changes that might require some tough decisions. For example, if the recently departed spouse was the beneficiary of the new widow’s insurance policies or wills (and no secondary beneficiary is named), then those documents need to be adjusted to reflect the living’s desires for disbursement after death. Similarly, many aging seniors find that downsizing or moving homes after the death of their spouse is the most practical and economical. While it may not be advisable to address such issues immediately after a death, you would be responsible to make sure that a grieving senior does not let such decisions fall by the wayside indefinitely. Although the death of a spouse if never easy, you can ease some of that pain by helping your loved one during this difficult process. However, remember to be respectful and pay close attention to their specific needs as they grieve. In an era of self-help, the idea of taking control of one’s destiny and being mindful are constants. Which is a good thing, but for some people, these thoughts can add to a growing list of worries and become overwhelming. It can be a vicious cycle, but only if you let it. Mindfulness is key. We’re going to have worries, anxieties and life stresses – that can’t be helped – but if we learn to master those thoughts when they begin, and be more mindful, we can better deal with the issues as they arise. Last month, for the 12th consecutive year, Capital One Canada and Credit Canada Debt Solutions (CCDS) partnered to celebrate Credit Education Week and raise awareness of financial literacy among Canadians. This year’s theme was focused on helping Canadians manage their stress and become more mindful, as it pertains to personal finance. Capital One Canada and Credit Canada fielded a survey to uncover Canadian sentiment towards finances, which revealed some interesting info about how Canadians are feeling. According to the study, 44% of Canadians believe that their financial situation negatively impacts their mental health. The biggest financial stressor on Canadians’ mental health is their total debt load (31%), followed by affording essentials (20%). Yikes! I realize looking at our financial situation can be awkward and uncomfortable, but it surprised me the lengths people would go to to avoid that experience. It doesn’t surprise me then that so many Canadians have debt that is mounting rather than subsiding – especially when we’re not willing to even look at the problem. Many lucky children are raised by families that are able to provide them with all of the tools to live a happy and healthy life. But as a psychologist who specializes in Childhood Emotional Neglect (CEN), I know that many adults were not so fortunate. In fact, I can say without a doubt that children who grow up in families who are not aware of the importance of feelings or emotions usually grow up with some important gaps in their emotional toolbox. These are the people who grew up with CEN. As you read the 7 Secrets of an emotionally healthy person below, I hope you will be thinking about yourself and about how well you are able to do them. And about the possibility that perhaps you grew up in an emotionally neglectful home. Manage your feelings. Life is so hectic and stressful that we all find ourselves trying to manage schedules, jobs, children, and finances, believing that the better we do at all of those things, the happier we will be. And all of them are very important, of course. But few things can erode your quality of life more than unexpressed anger, unresolved sadness, or unexpressed fear, for example. Unacknowledged, unresolved feelings have a way of sapping our energy and strength. They also can emerge at the least helpful times, and ruin a whole day. Most people are unaware that emotions are important messages sent by their bodies. Most folks do not realize that if they pay attention to their feelings, they will receive answers to many questions they might have about themselves, their lives, and the people around them. Acknowledging that you feel sad, for example, helps you think about why you feel sad. And that may be your body saying, “You’re losing something” or “You need something.” Your feelings can tell you very important things about your life. Know what you want. It’s entirely possible to go through your whole life seldom paying attention to what you want for yourself. For example, some folks fail to consider what they want to do for work, instead of taking whatever opportunity presents itself. Some people worry too much about what other people want and organize themselves around that. This can even apply in much smaller decisions, like what to do, what to eat, or where to go. Failing to check in with yourself and think about your wishes and desires leaves you vulnerable to ending up with a life you never chose. But when you pay attention, consider your wishes, and plan for yourself, you’re far more likely to end up in a place you have consciously chosen, and with a life that you purposely carved out for yourself. Welcome criticism. Receiving negative feedback from others is difficult, for sure. It’s never easy to hear negative comments from another person. 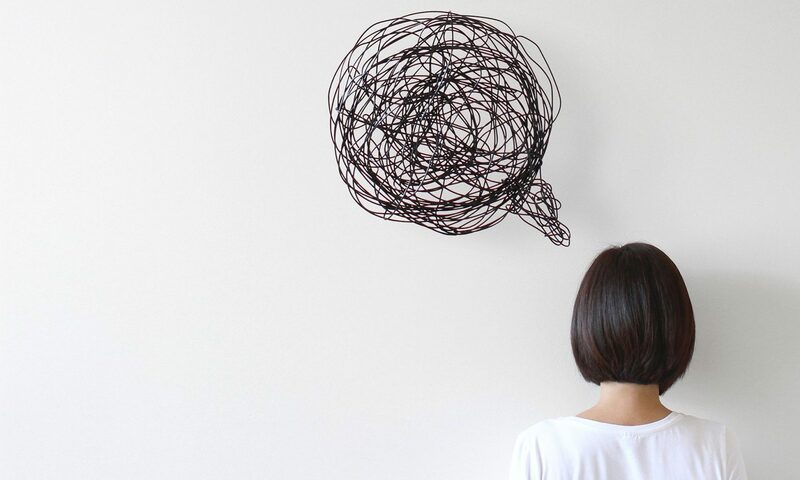 Most of us will go to great lengths to avoid hearing criticism; and once we hear it, we get too hurt, angry or upset to adequately process its message. But if you think about it, it’s not humanly possible to go through life without making mistakes. And the people who are willing to criticize us are the ones we should value the most. Criticism is, after all, an opportunity to learn. Not that it should be accepted without question; all criticism is a product of its creator, and it usually says as much about the criticizer as it says about the person being criticized. But as long as the criticizer is generally well-meaning, once you sift through his motives and needs in your own mind, you can usually glean a helpful bit of information about yourself, and how to be better. So go spend some time “forest-bathing” to improve your health. But research suggests it’s important to make time to get outdoors as well, since doing so is beneficial — maybe essential — for human health. Psychologists and health researchers are finding more and more science-backed reasons we should go outside and enjoy the natural world. In her book, “The Nature Fix: Why Nature Makes Us Happier, Healthier, and More Creative,” journalist Florence Williams writes that she started investigating the health benefits of nature after moving from the mountainous terrain of Boulder, Colorado, to what she describes as “the anti-Arcadia that is the nation’s capital”: Washington, DC.